Born in Littleton, Colorado, he studied music at the University of Colorado at Boulder and was awarded his degree in 1956. He produced his first single, "Subways Are for Sleeping", in 1962 and his first film score for Divorce American Style (1967). Other scores followed, including Winning (1969), The Friends of Eddie Coyle (1973), The Midnight Man (1974), and Three Days of the Condor (1975). From 2000-11, Grusin concentrated on composing classical and jazz compositions, touring and recording with collaborators, including guitarist Lee Ritenour. Their album Harlequin won a Grammy Award in 1985. Their classical crossover albums, Two Worlds and Amparo, were nominated for Grammys. Grusin's mother was a pianist and his father was a violinist from Riga, Latvia. He's half Jewish. An alumnus of the University of Colorado at Boulder, College of Music, he was awarded his bachelor's degree in 1956. His teachers included Cecil Effinger and Wayne Scott, pianist, arranger and professor of jazz. He received honorary doctorates from Berklee College of Music in 1988 and University of Colorado, College of Music in 1989. Grusin was initiated into the Beta Chi Chapter of Phi Mu Alpha Sinfonia at the University of Colorado in 1953. 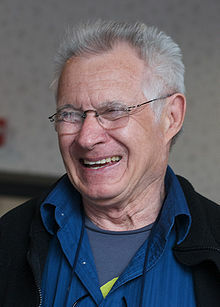 ^ "Dave Grusin Biography". Film Reference. Retrieved December 8, 2017. ^ "Cecil Effinger Interview with Bruce Duffie". Bruce Duffie. Retrieved December 8, 2017. ^ "Dave Grusin | Album Discography | AllMusic". AllMusic. Retrieved January 5, 2017. ^ "Dave Grusin | Credits | AllMusic". AllMusic. Retrieved November 19, 2017.